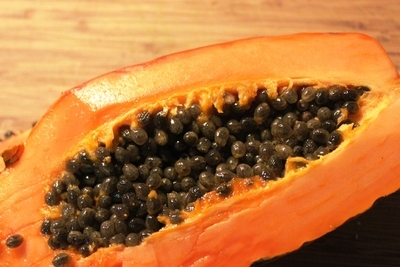 A Papaya Face Mask is a brilliant way to freshen your skin. The Papain enzymes in the papaya fruit exfoliate any dead skin cells naturally while softening your skin at the same time. Your skin will feel totally refreshed after this and it's also an excellent way to heal acne. A Papaya Face Mask is a fun, healthy way to nourish your skin at home. The nature of mashed papaya is a bit sloppy and gooey, so make sure you lie on a large towel to catch any mess. 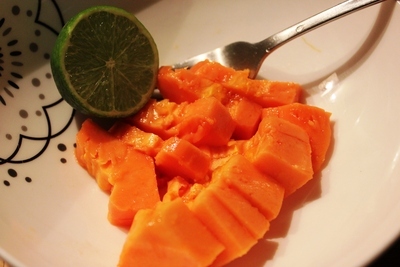 Take the seeds out of the papaya (paw paw) with a spoon and discard (or save them and plant them for next time). 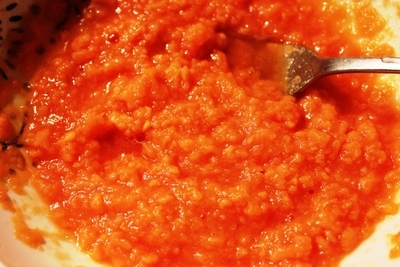 Take the skin off the papaya and mash the fruit thoroughly with a fork. Add the lemon juice and thickened cream (optional) and mix into a smooth sort of paste. Clean your face with a damp towel. Ask a friend to cover your face evenly with the papaya mixture, avoiding the sensitive eye area. 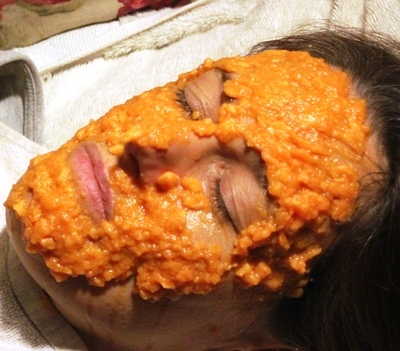 Lie still with the papaya face mask on for about 10 minutes. After a few minutes, your skin will begin to "tingle" as the fruit acids work their magic on your skin. Don't worry - it feels great. Rinse off the face mask with warm water and moisturize your soft, new skin. Now, doesn't that feel quite amazing? Why not try it? It really does feel good. I know that papaya can be used to tenderize meat, but I didn't realise that extended to living human flesh.